We stayed at The Sutton Place Hotel in Vancouver. Their decor reminiscent of French architectural. Here are a few precious pics of Ms. Zoey on a French Provencial Chair. A very happy baby. Always smiling so wide except for when she gets drowsy and then it’s mommy time b/c no one else can console the child. I find this picture so cute! Had no idea that she dozed off until I happen to look down at her. Had to capture this priceless moment. Sometimes she resists falling asleep. This was one of those moments until she just couldn’t resist anymore! The photo session took a toll on her I guess. How precious! She is so alive and beautiful. What an angel! Awww..just too adorable..so precious! 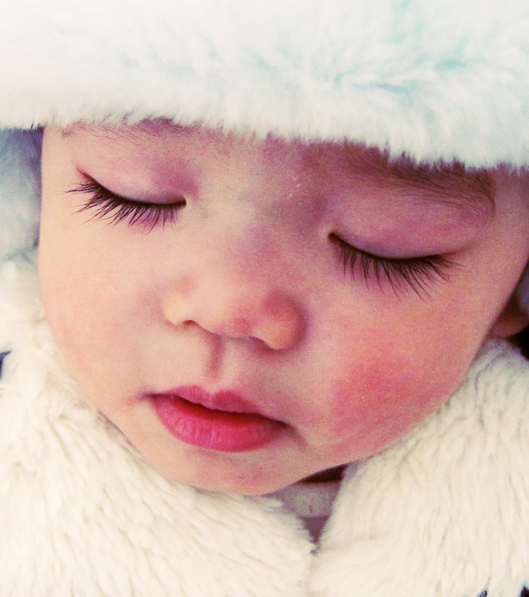 And check-out those luscious long lashes on Baby Zoey! Thanks! she does have long lashes, not sure where she got them from but I’m not complaining! Thanks for stopping by! Best, Kellie. Precious, precious photos. I loved this post! Thanks for droping by mine. Wow, she is an angel. She is too cute! Love that hat! 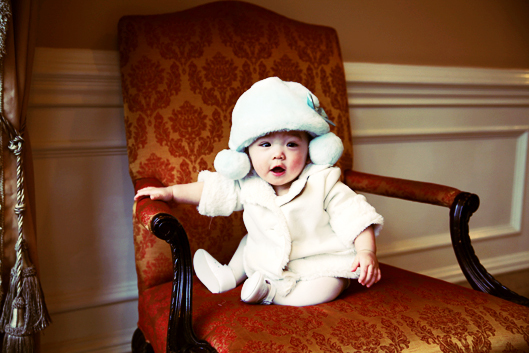 Zoey you are so beautiful:) Luv the pics on the chair and the hat is precious. Sutton Place…tres chic:) Actors like to stay there when they are filming in Vancouver. Adorable! Have fun in Vancouver for the rest of your trip! So sweet! You have such amazing photos. Great subject to work with! She’s absolutely beautiful! The last picture is especially precious! She is just so beautiful and yet another stunning little outfit. She is so stylish!